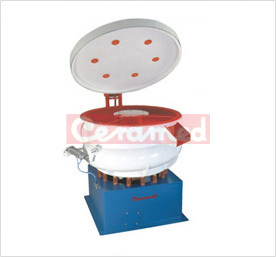 CN-S Series - The automatic separation with a spiral type bowl. Vibratory machines use the principle of centrifugal force to cause vibrations to the work bowl thereby processing the components to the desired finish. The equipment comprises of a work bowl mounted on a rigid base frame. 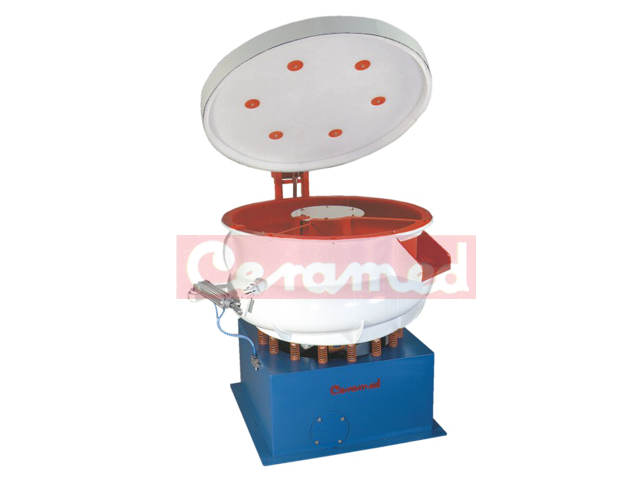 Ceramed’sVibro finishing machine uses a powerful imported vibratory motor, made of special grade casting, and heavy duty spherical roller bearings. Springs are provided between the work bowl and base frame. Raw materials and components used and quality standards employ for manufacture, ensure trouble free performance. High tensile SS bowls only used.